The problem of food waste runs deep. We talk a lot about tons of good food going to waste and the loss it has on our natural resources, money and energy. We also mention that it is wrong to waste so much good food while so many live below the poverty line. In the EU the statistics are staggering. 90 million tons of food is wasted every year as 79 million citizens live below the poverty line. The ´specific marketing standards´alone are responsible for 30-40% of produce being tossed away because they don´t look a certain way. One thing that gets left out of this discussion is food diversity! 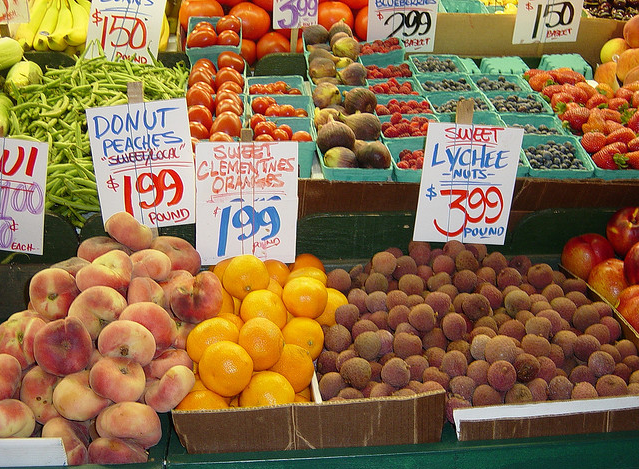 What we fail to understand is that all fruits and vegetables have different varieties. For instance, avocado has about 1,000 different variations, apples about 7,500. The standards that EU places on food and vegetables before selling them on the market greatly cuts down this diversity. Farmers that grow this food are left with huge losses because they can´t sell their crops on the market. This makes our food system less adaptable to changing climates. This means that big corporations that have access to the dominant sort of seeds make money and gain control over what type of food we see in the supermarket. Small farmers are pushed out of the market either because they don´t have money to pay for expensive patented genes, or they don´t have access to propriety technologies that are owned by large corporations. As our climate keeps changing and weather patterns begin to have more effect on the food we buy, the actions we take now could determine whether in 5 years we can still afford to eat nutritious food. To make sure we can all afford good food in the coming years, sign the EU! Bring back Good Food! petition and tell EU to stop putting ´standards´on our food. Together we can save our food system from collapse. Posted on April 20, 2013 by saynotofoodwastePosted in NewsTagged EU, food, food security, food waste, supermarket, sustainability. Love this post! I always try to cook with the least amount of trash. Thanks so much! If more people cooked with less trash it would definitely help the food waste problem. Very happy you liked the read! Please share it with your friends so more people start thinking about this.